ARDMORE, Pa. – According to Mapquest, it is 1,150 miles from PGA National's Estates course in Palm Beach Gardens to Merion Golf Club in Ardmore, Pennsylvania. This week, PGA National is hosting a $300 GOLFslinger/Minor League Golf Tour 2-day event, and Merion Golf Club, the 113th United States Open Championship. While the two events are at complete opposite ends of the professional golf spectrum, a closer look will reveal the gap in the skill of the players competing is miniscule, and in some cases, undetectable. In our annual team events, we are pleased that our GOLFslinger/Minor League Golf Tour members bring their PGA and Web.com Tour friends out to play. Tom Gillis, Steve Marino, and Keegan Bradley all played back in December with GOLFslinger players that have had various levels of success. In that one event, there were GOLFslinger players that have made it to Q-School Finals, have qualified for the Web.com Tour and PGA Tour Events, have played in US Opens, and have played/won the golf channels Big Break. 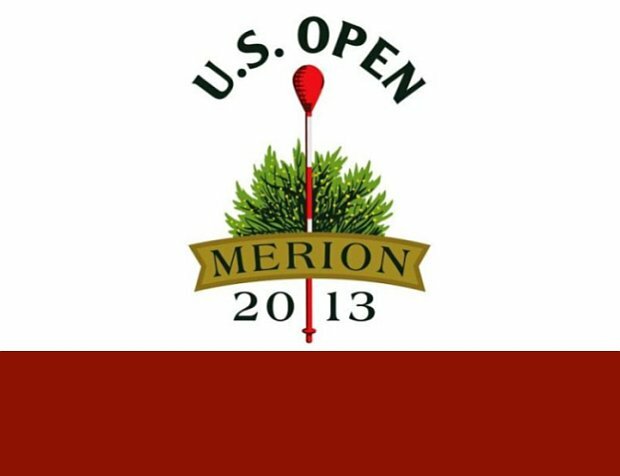 Brandon Brown will join PGA Tour members Justin Hicks, Scott Langely, and Nicholas Thompson in this years US Open at Merion. All four have played on the GOLFslinger/Minor League Golf Tour, combining for 25 wins and over $50,000 in earnings. Justin Hicks is playing in his 4th US Open, Scott Langley his 3rd US Open, Nicholas Thompson his 2nd US Open, and Brandon Brown, his 1st US Open. So who will be next to make the move from the Minor League to playing in Majors? Below is a list of 75 players that have played in our events----50 of them got through local US Open Qualifying and the other 25 were alternates. This group of players have combined to win more than one hundred events on The GOLFslinger/Minor League Golf Tour. We would like to recognize their accomplishment, and are very proud to be a part of their journey. Brandon Brown - SHELBYVILLE, KY.
Daniel McCarthy - SYRACUSE, N.Y.
Matthew Springer - STUART, FLA.
Justin Thompson - WEST PALM BEACH, FLA.
Benjamin Hartman - WEST PALM BEACH, FLA. Sunny Kim - PALM BEACH GARDENS, FLA.
Tim Turpen - WEST PALM BEACH, FLA.
Nyasha Mauchaza - PORT ST LUCIE, FLA.
Justin Bryant - ST. LOUIS, MO. Gabriel Costa - TEQUESTA, FLA.
Zachary Oakley - PALM CITY, FLA.
Chase Carroll - KNOXVILLE, TENN.
Michael Tobiason Jr - WILMINGTON, DEL. Michael Kartrude - ROYAL PALM BEACH, FLA.
Mike Caporale - MANHASSET, N.Y.
Sam Kang - ROCKAWAY, N.J.
Joey Bonargo - MECHANICSVILLE, PA.
Chad Wilfong - CHARLOTTE, N.C.
David Schuster - NEW YORK, N.Y.
Drew Perry - CHARLOTTE, N.C.
Marc Turnesa - JUPITER, FLA.
Brandon Knaub - YORK, PA.
Mark Summerville - ESCONDIDO, CALIF.
David Hilgers - HERSHEY, PA.
David Sanders - MOUNT LAUREL, N.J.
Zach Barlow - PERCY, ILL.
Justin Regier - CARY, N.C.
Garrett Jones - REWEY, WIS.
Colin Amaral - PORT ST. LUCIE, FLA.
Brian Bartow - RYE, N.Y.
A - Frank Dully II - SALEM, MASS. A - Jonathan Mansfield - CLEARWATER, FLA.
A - James Hazen - MILLER PLACE, N.Y.
A - Brian Rowell - LAFAYETTE, LA. A - Tommy Schaff - SAVANNAH, GA.
A - Randy Leen - PORT ST LUCIE, FLA.
A - Chris Case - ALBUQUERQUE, N.M.
A - Michael Buttacavoli - MIAMI BEACH, FLA.
A - Jake Katz - BUFFALO, N.Y.
A - Sam Saunders(a) - ALBUQUERQUE, N.M.